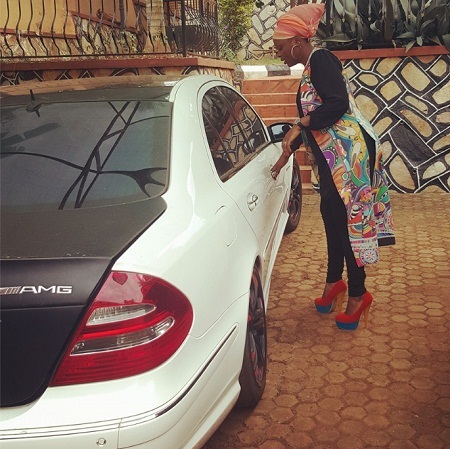 The Sibya Mukisa singer, Rema Namakula, has showed off her valentine's gift for the first time. It's a white and black Merc-CLK. 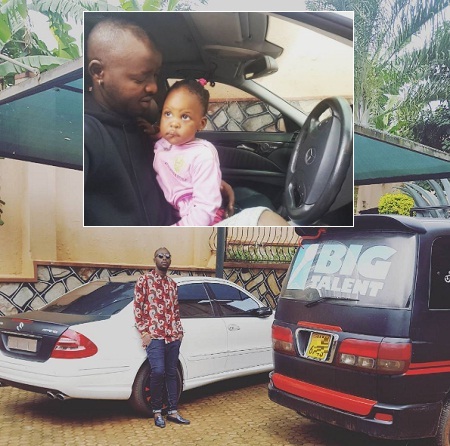 She is joined by baby daddy, Eddy Kenzo, who attributes all his success to Allah. In the parking lot is the Big Talent Crew black van which leads the way just in case Kenzo has to be picked from the airport after winning a BET award or something similar as a result of his music. 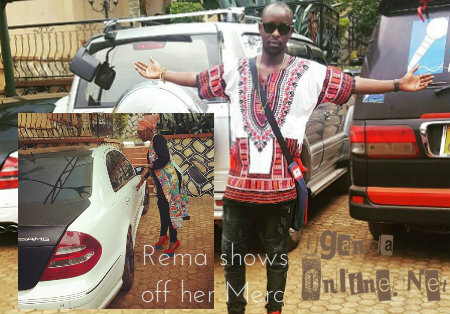 Meanwhile, everything in the pic below is spot on...The Shs500M house in the background, Rema's Ramadan fashion sense left most of her fans yearning for more of it. Rema played around with her colors so well right from the head gear to the high heel and the danglers earrings are a plus, no doubt, she was striking.